Food, wine and dining is a segment on Weekend Afternoons with Tim Webster on radio 2UE and I’m talking food and noodlies Sydney food blog to marvelous Tim from 5.10pm. Here are some highlights in case you miss it or wanted to get more info about our conversation. Tim Webster and I talk about the hardest restaurant to find in Cabramatta, see the video below and you’ll see what I mean. If you want to read more about U.E. restaurant click here. Now you know how to find U.E. restaurant… do you think you’ll search it out? We also talk about an Assyrian restaurant called Hayat and a delicious dish called Qoozi. Read more here and see the video below. 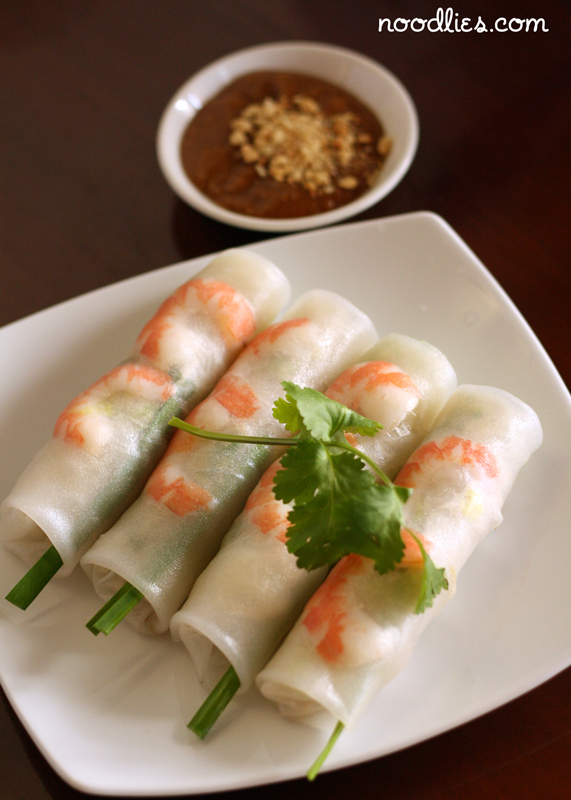 I talk to Tim about how to make Vietnamese Rice Paper (fresh) Rolls. These rolls are becoming very popular because they’re delicious and healthy and really easy to make. If you were motivated to make these rolls, why not send me pics of your creation and let me know how it went! Cabramatta’s best eats: if you’re coming to the area, check out noodlies list of the best restaurants in the area… enjoy! If you have any questions, comments love to hear them! wow radio appearances must make you some kind of foodblog royalty. Beautiful rolls there! And yes, they are getting popular. I used to listen to Tim on my way home from work when he was doing the midday to 3p.m. shift; his show was quite entertaining. Congrats on the radio gig! Those fresh rolls look fantastic! thanks everyone.. i'm back on 2UE coming Sat from the Easter Show, from 5pm!